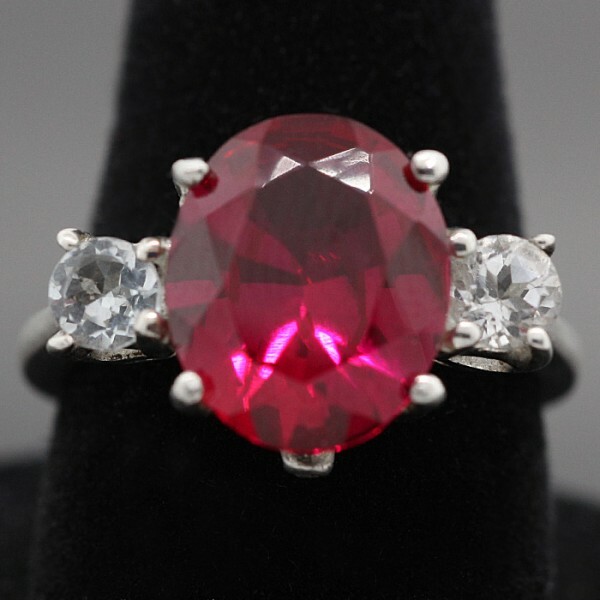 Oval Cut Ruby Ring - Sterling Silver - Ring Size 7.0 was added to your cart. Be the talk of the evening with this Ruby cocktail ring. The 5.05 Oval cut, ruby center stone is exceptional with two Round Brilliant cut accents stones, giving this ring a stunning total carat weight of 5.55!